I spend enough time on Facebook that by now I, like many of you, have seen the “FOOD or ANIMAL?” photo comparisons. If you don’t know what I’m talking about, the link below will offer up links to plenty of examples. If you’ve never noticed the similarity between closeups of Chihuahuas and blueberry muffins, you may be surprised. Leave it to the NYC-hip writers at The Gothamist to give the photo-meme game an urban pest-animal hook. After the author of the piece, Jen Carlson, failed in her attempt to draw a visual correlation between pigeons and food (” … pigeons just look like rocks, and this meme works best with food.”) she took another crack at meme-making with a different sort of pest. 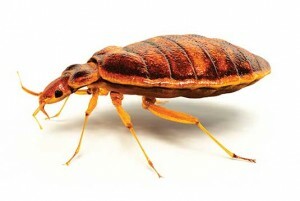 Who knew the pest scourge of the 21st century bears such a striking resemblance to a favorite French dessert? … not so striking that you’d accidentally heat treat your mouth and eat a customer’s mattress after dinner but … Well, just take a look for yourself. Is This a Bed Bug or Creme Brulee? Carlson closes her online piece with a classic #sorrynotsorry: “I have either ruined crème brûlée for you, or made bed bugs seems like a delicious dessert. So I’m sorry and you’re welcome.” Thanks for the Friday afternoon laugh, Ms. Carlson.